I think the govt got involved with baseball was because anabolic steroid use without a prescription is illegal. That becomes DEA turf, but they'll probably only go after dealers or well-known athletic figures, not the muscleman at your local gym. In Barry Bond's case, the govt was pursing BALCO (https://en.wikipedia...ry_Co-operative) as an illegal supplier, and got in trouble for perjury in his testimony against them. While deflating footballs is certainly unethical and against league rules, I don't think it's breaking any criminal laws. Now if it was discovered that Deflategate was linked to sports fixing, then you bet Congress would get involved. See..now that makes sense. 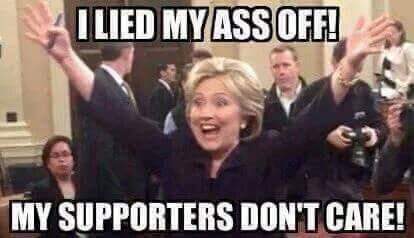 They were softening the ball up, so Hillary can catch it. > yes! it's a teams responsibility to ensure no cheating occurs. where do you draw the line at cheating? I say stop ALL of it. > he's a scumbag and should have been kicked out of the league for life. where do you draw the line? > these players are roll models for our youth, they should all have morals clauses and if they break them they get fired, you know, just like any other job you'd get fired at if you didn't do as you were supposed to. LOL. 4 games for Tom, 1 million fine and lose 2 picks. At least there is some justice! Wow, I like it. Seems just about right. Still can't believe that individual teams were able to control the footballs. Bizarre. Were the locker room guys fired?? Hope he doesn't try to appeal. Brady probably will appeal, but he's busted and tarnished in the eyes of the fans. I'm more of a Peyton Manning guy. That guy has integrity. i don't know about his integrity- but he certainly one of the greats in his generation. Slap on the wrist; what about Kraft the owner, and Belechik the head coach...nothing. The NFL Commissioner is good friends with Kraft. The Saints coach was suspended for a whole season for his infraction. Slap on the wrist; what about Kraft the owner, and Belechik the head coach...nothing. Kraft was fined $1 Million bucks and coach Belichick lost 2 draft picks...I think they all got punished properly. Now see if you can actually tell the difference. I did, and honestly can hardly tell. Agree, this is much ado about nothing... People just want something to write about. To the quarterbacks, it makes a huge difference. It was also noticed by a defensive back who had made an interception. Aaron Rogers says that he likes them a little higher than the max because of his hand-size and grip pressure. Brady likes them softer because of his smaller hand size it makes them easier to grip. There have allegations or suggestions that lots of teams have tried and gotten away with custom inflating. They could solve the problem by either a) Don't let teams supply their own balls and/or b) get rid of the rule. Let them inflate to whatever they like. It will only affect that one team. Heck they should just start tossing around a bean filled hackey sack. Make them start using their fine motor skills when catching.